Hi I’m Rob Gaffney aka (Robbie Magic), a full time professional magician and one of Hampshire’s Coolest Children’s Entertainers! 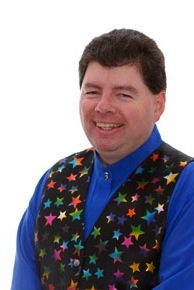 I have over 11 years experience entertaining families and children in the UK and in America. I am based in Alton Hampshire, UK and as such am regularly in demand in and around the local area. However I do perform outside of the Alton Hampshire area too. If you would like more information on my Children’s Entertainment Packages and options then please head over to my “enquiry” page using the link above. Then fill in your details and I will email you out more information so that you can make an informed decision without any obligation on your part. Each of my Shows and Entertainment offerings are full of exciting magical entertainment tailored to suite your needs and age ranges, so that you can relax and enjoy the event too! Additionally to my shows I can also provide Balloon Modelling, and various Workshops: Magic, Balloon Modelling & Circus Skills. You will find information on everything I offer in the links above in my navigation menu. Feel free to ask me for more information at any time using my “enquiry” page above. I am also a member of the world famous Magic Circle in London and Equity, have Public Liability Insurance and a P.A.T. Certificate. All for your extra peace of mind. Below is a video of Page Turner my ‘talking book’ who comes with me now to all of my magic shows. He is waiting to meet you all and have a fun time at your party or event. Page is one of only two animatronic talking books in the UK! Thank you for a very entertaining party‚ Kids still talking about it!